Hey there…Do you LOVE earrings? And, want a surprise each month? 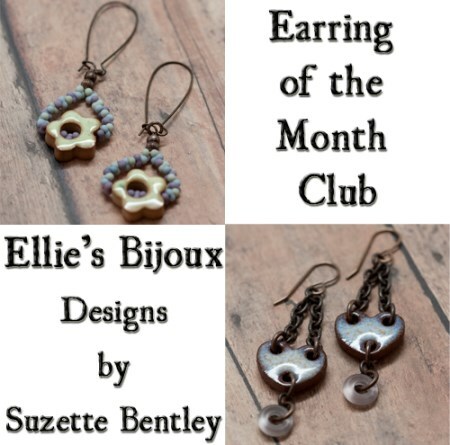 If you said yes, then join my Earring of the Month Club! This is a very special promotion with a limited number of spots available. You can sign up for 3, 6, 9 or 12 months which ever you prefer. One pair of earrings will be sent out on a monthly basis. If you purchase the club membership prior to the 15th of any given month then the membership will begin that month. If purchase the club membership after the 15th of any given month then the earrings will be mailed out the first of the following month. FREE Shipping is included in the package price for USA orders only. Please contact me for international shipping costs.